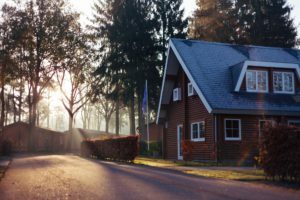 As a homeowner getting your roof inspected may be low on your priority list, but it shouldn’t be. Getting a roof inspection every few years will help you catch any damage to your shingles. Also, damage to the roof that will leak and cause additional damage. Catching these leaks will prevent water damage to your roof structure and home. We here at Eastbrook Construction will give your roof a thorough roof inspection so you can rest easier. Water damage is a homeowner’s worst nightmare. A small leak can cause thousands of dollars worth of damage if you’re not getting your roof inspected regularly. These small leaks can damage your roof’s structure and will allow mold and mildew to grow. All this adds up to a lot of money to repair and restore, but getting your roof inspected will help you avoid that. Many insurance companies won’t fully cover you unless you’ve had your roof inspection. This is because one of the highest claims for homeowners insurance is roof damage, so having your roof inspected for leaks is a must. We here at Eastbrook Construction will provide you with a “roof inspection form”, “roof letter,” or “roof certification letter,” so you can get your homeowner’s insurance policy. With these strong winds and storms, we’ve been having you never know if your roof has been damaged. Strong winds, debris, and tree branches can damage your roof in the middle of the night without you knowing it. Other times you are more than well aware of the potential damage but need a professional to make the final call. Getting your roof inspected will catch these damaged areas before they’re a nightmare. This entry was posted in Roof Inspections and tagged damage, inspection, Insurance, roof, storm, winter. Bookmark the permalink.